Kazakh deputies have overridden Nursultan Nazarbaev’s veto and supported a referendum on the extension of his presidential powers. ­On Friday, the parliament adopted, in the first reading, amendments to the constitution envisaging the holding of a referendum to extend the president’s term of office. 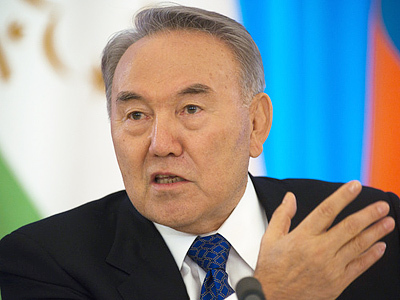 Deputies also fixed in the constitution Nazarbaev’s status as the leader of the nation. Now he has an option either to sign the amendments or to send them for a referendum. Nazarbaev, who has been in power for more that 20 years, planned to run for the presidency again in 2012. However, the Central Elections Commission in December last year registered an initiative group that is organizing the referendum to extend the incumbent president’s powers until 2020. The group had to gather 200,000 signatures of citizens in the country’s regions. In fact, almost 5 million signatures have been gathered, according to a protocol approved by the Central Elections Commission on Thursday. 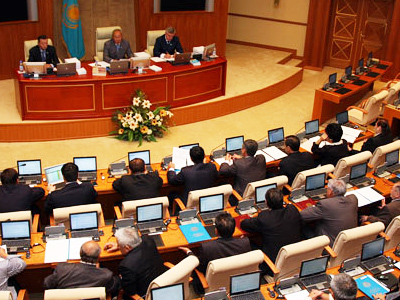 Last week Nazarbaev officially declined the parliament’s proposal to hold the referendum. 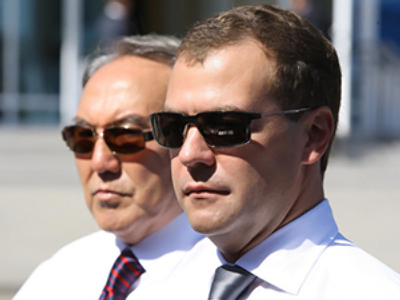 The president was ready to run in the 2012 elections, his advisor Ermuhamet Ertysbaev has said. “It's a pity that the parliament has imposed the referendum on him, because I know the president’s position,” RIA Novosti quoted him as saying. According to Ertysbaev, the president intended to take part in the elections. “He has strong support in the country, with 90 per cent of people backing him,” the advisor said. The group of public figures that initiated the referendum have said it would save the budget money that otherwise would have been spent on the election. The parliament supported the initiative because it has been supported by so many people, Ertysbaev noted.